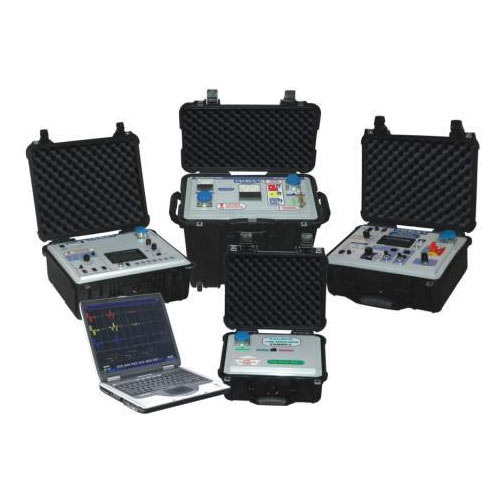 The Transmission Line Fault Analyser System designed & developed to be utilized as a precise fault Locating tool with extended applications of line healthiness study, pre-charging and pre-commissioning checks. The HVDC Line Fault Analysis system helps to detect the faults and resume the affected HVDC system. Deploy one unit of HVDC Line Fault Analyser at each sub-station to ensure optimal uptime of the HVDC Network. - Range : Up to 4000kms. 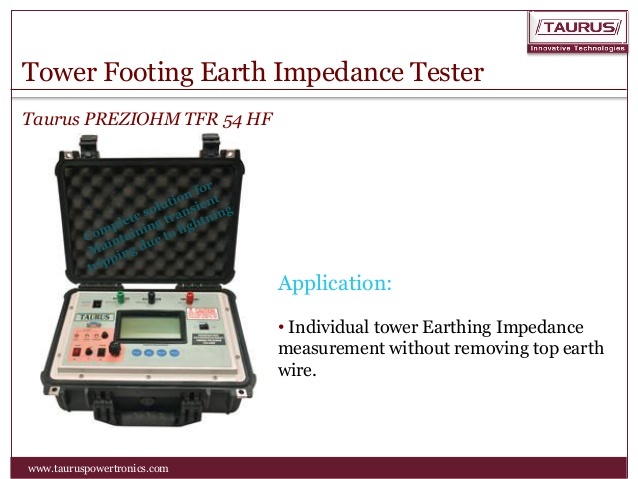 Tower footing impedance tester is a high frequency earth tester is a high frequency earth tester which measures the resistance, inductance and impedance of the transmission towers. 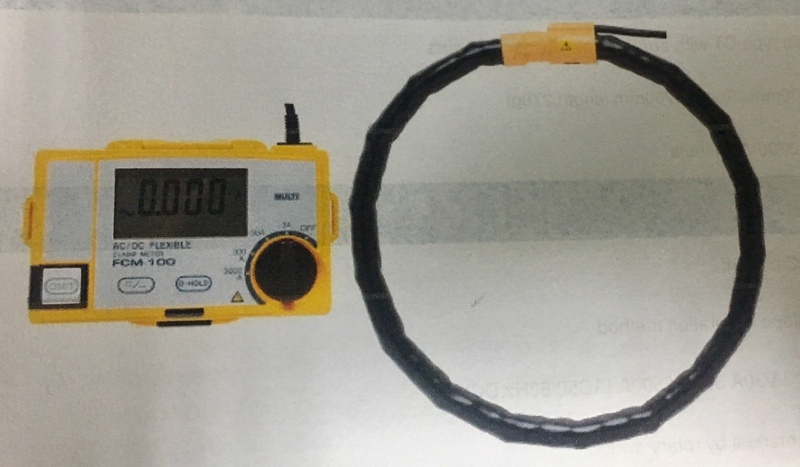 It measures the individual tower's earthing value so as to measure the effectiveness of the particular tower's capability to ground the surge currents, leakage currents and the lightning strike. 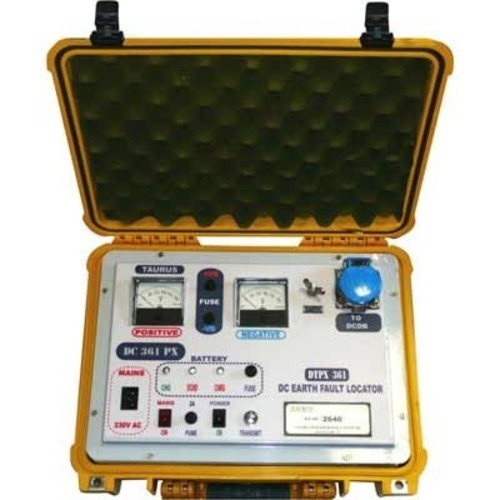 The partial discharge detector is a hand held Non Destructive inspection system which picks Ultrasound generated by the devices used in the Transmission Lines and Substation from a safe distance 100Meters. Corona Cameras are specialised devices which work on processes involved with corona phenomena emit ultra violet light. They detect these ultra violet emissions in daylight. Corona is a slow poison which causes heavy damage to the assets and lives if not detected and corrected at the early stage. 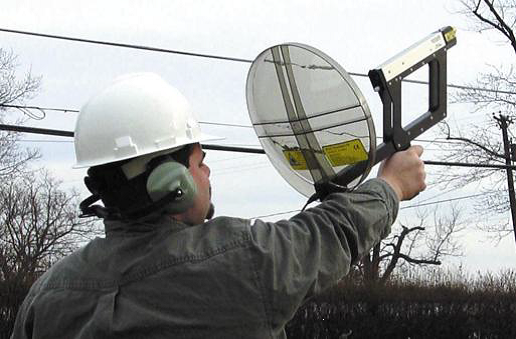 Monitoring of leakage current for insulators is an important practice to find out power outage and safety. Technology available to measure the tower leakage at the tower foot using very accurate flexible clamp tester. - Sensoring Method : Flexible Split- Core Type.